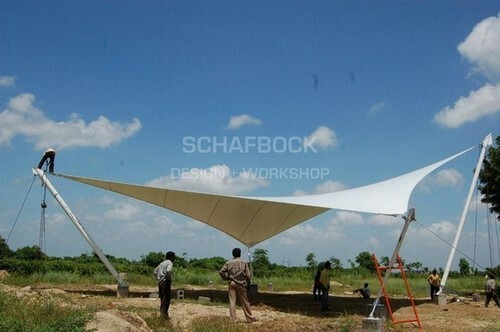 Established in the year 2005, we Schafbock Design Workshop, are betrothed in manufacturing, supplying a wide range of PVC Tent. We are the service provider of Canopy Fabrication Services. We are the manufacturing, supplying of Tensile Car Park, Tensile Structure, Gazebo Structure, etc. We are service provider of Tensile Structure Designing Service and Canopy Fabrication Services.